February 12, 2019 in theBronxchronicle.com. (Bronx, NY – February 8, 2019) The New Bronx Chamber of Commerce and Women Entrepreneurs (WEnyc) present a Free “WE Connect” Power Breakfast: “Leverage Your Digital Toolbox”, 9:00-11:30am on Wednesday, February 27th at Fordham University’s Bronx Campus, McGinley Center, room 237, 2691 Southern Blvd., Bronx, NY 10458 (entrance opposite the New York Botanical Garden). Doors will open at 8:30am. All are welcome. Learn how to leverage your digital toolbox to promote your brand on social media, raise funds for your business, and sell online. Topics include: personal and business credit needed to start selling; social media: personal and business branding; online crowdfunding: how to leverage your network to raise funds; and online sales tools. Admission is free, but RSVP is required. RSVP: http://bit.ly/2GmmXKK. 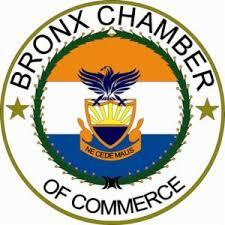 Additional workshops and networking events will be posted on the calendar pages of the Bronx Chamber of Commerce’s website at www.bronxchamber.org.